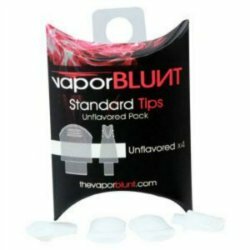 This pack of 4 standard mouthpieces fits any VaporBLUNT vaporizer including the VaporBLUNT, VB2, Palm and Palm2 vaporizer. The non-toxic plastic mouthpiece is the exact same one that comes with the original kit and is flavorless so you only taste the material you are vaporizing. Although the mouthpieces are sturdy they should be changed often for hygienic reasons.